Create and Craft invited us to put together a special issue of the Tattered Lace Magazine, just for Create and Craft customers! So, what’s in this very special issue? 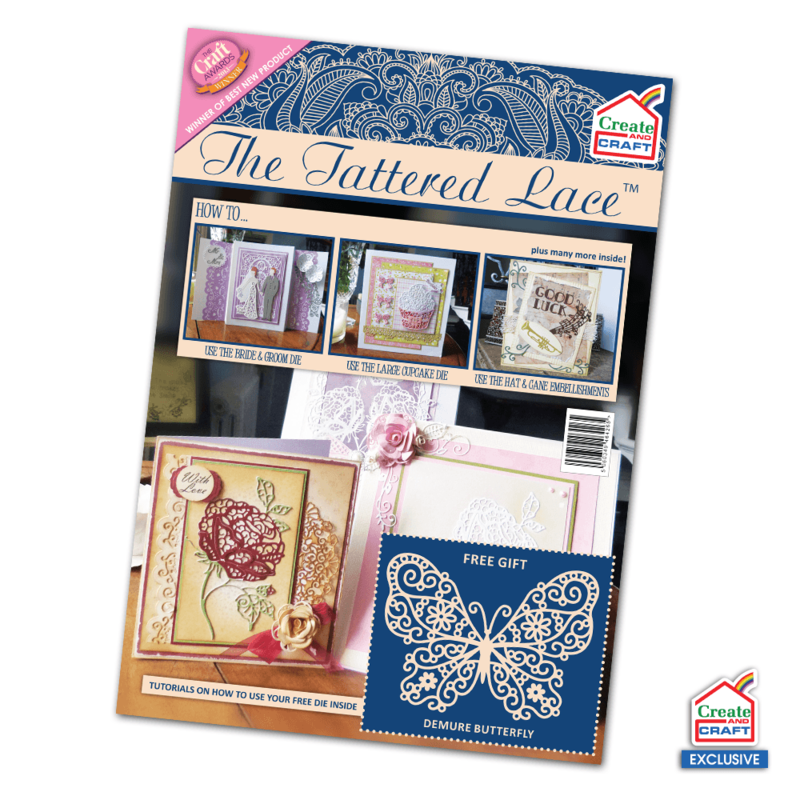 A brand new, exclusive to members only, limited edition, free Tattered Lace butterfly die! It is just gorgeous and I can’t wait to see the fabulous creations you will make! As usual, the magazine is packed full of projects with step by step instructions and photography for visual learners (like myself). A highlight for me is the rather splendid Chocolate Box and Sweetie Wrapper project, complete with 2 pages of templates. You will also be delighted to know that there are 12 pages of beautiful, complimentary backing papers for to use at your leisure. Enjoy the magazine and get crafting!